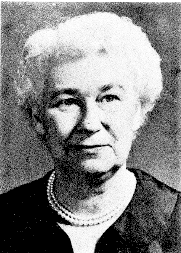 Dorothy T. Dyer was president of NCFR in 1954. She came with a varied career which included serving as Executive Director of the YWCA, Dean of Ohio State University, & Bucknell University, chair of the Family Life Division at the University of MN, Dean of the College of Family Life at Utah State University and as Family Life Education Consultant and Marriage Counselor in California. She passed away in 1999.